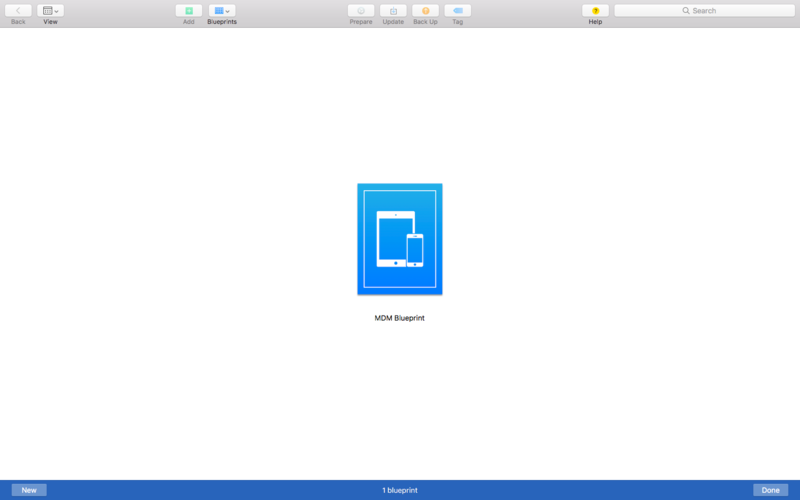 How to enroll iOS devices using Apple Configurator? Apple Configurator is a utility tool designed to configure and enroll corporate-owned iOS devices in the enterprise through USB. It aids in automatic enrollment of iOS devices using MDM and pre-loading the devices with the associated profiles and distributed apps before handing them out to users. It makes the deployment process of corporate iOS devices easier and more efficient. You can also assign users to devices and supervise them. 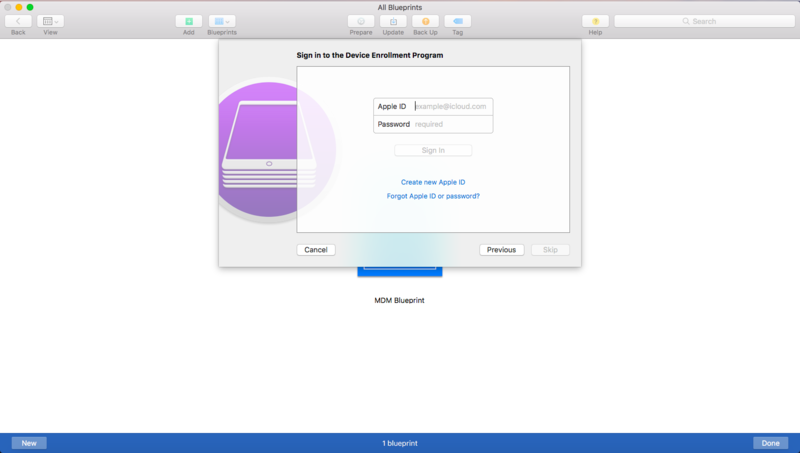 Administrators can enforce mobile security by importing existing profiles or creating new configuration profiles which will be forced to the managed mobile devices.You can use Apple Configurator to enroll devices not purchased directly from Apple or its reseller with DEP as explained here. Push predefined configurations for corporate iOS devices. Automatic enrollment with Mobile Device Manager Plus. Advanced Control over the supervised devices. For more details on supervised devices and their benefits, refer this. 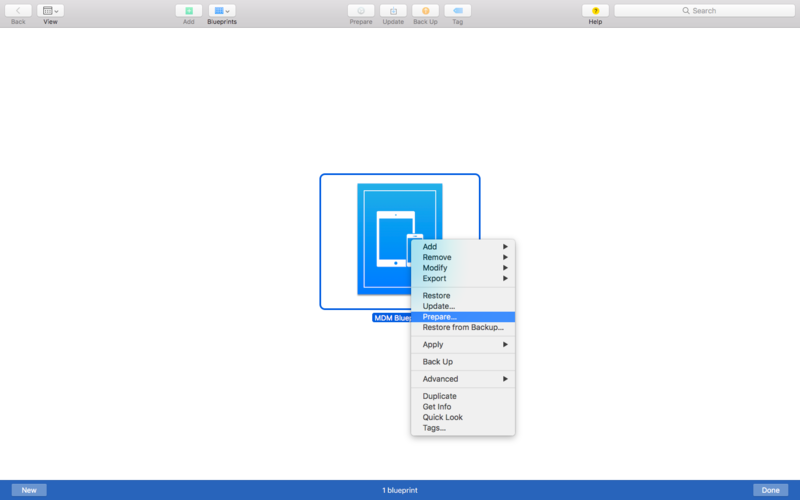 Learn how to setup Apple Configurator in just 3 minutes through this demo video. To use Apple Configurator, ensure that your Mac is running on 10.7 or later versions of operating systems. 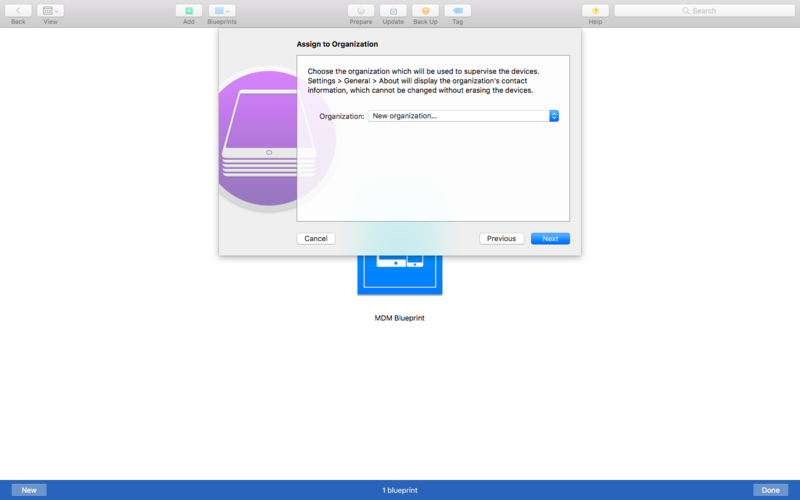 It is recommended to update your iTunes before installing the Apple Configurator Utility. Apple Configurator can be used only for devices running iOS 6 or later versions. If any device with lower versions are used, then the Operating System of the devices will be automatically upgraded to the latest. 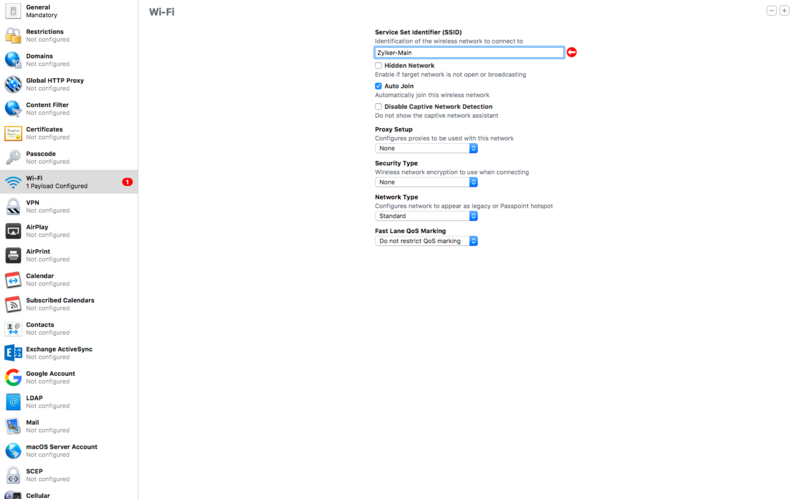 Wi-Fi profile is mandatory for enrolling new devices using Apple Configurator. Hence, ensure that you configure Wi-Fi profile in the Configurator. You can use Apple Configurator to enroll multiple devices at the same time. Follow the steps mentioned below to enroll multiple devices using Apple Configurator. 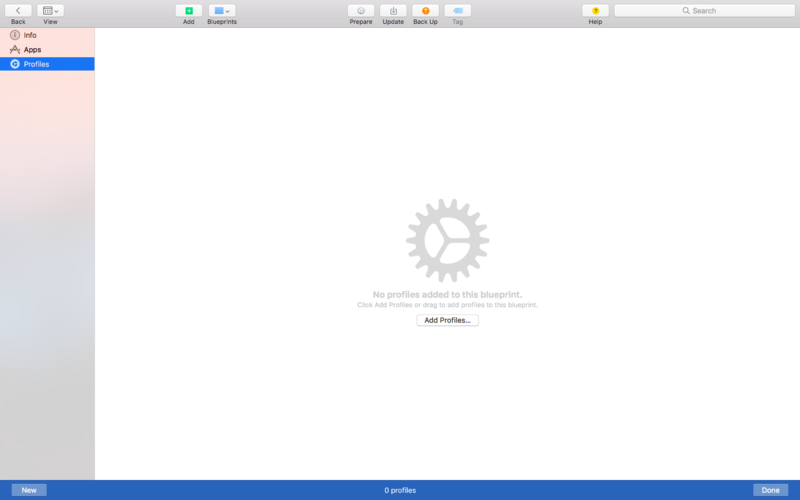 On the Apple Configurator, click File, select New Profile and then select Wi-Fi. Do not modify any other profiles as this will clash with the MDM profiles. Create a Wi-Fi profile and save it. Click File and choose New Blueprint and name it. Open the newly created Blueprint and click Profiles, you will have to add the newly created Wi-Fi profile (which was created in step #2). Right click and choose Prepare as shown in the below image. Specify the Configuration Type as Manual. If you wish to add mobile devices into your Device Enrollment Program (DEP) portal, enable the Enable the Device Enrollment Programoption. Learn how from this document. Add the new server details by specifying the Server Name and Enrollment URL. Enrollment URL, which is configured in the MDM server. As Anchor Certificates are automatically added, skip this step by clicking Next to continue. Specify the name and details of the organization. Choose Generate a new supervision identity. Configure iOS setup assistant by clicking Prepare. Once the configuration is done, connect the devices to a Mac through USB. Now in Apple Configurator, select the device, choose the created blueprint and add it to the device to be enrolled. Once this done, the device restarts and the process is completed by accepting the created profile in the device. After completion, the device gets added to the MDM Server from where the device can be assigned to user. Select Configure Apple Configurator, and select the Apple Configurator version. Navigate to the third slide and copy the URL. This is to be uploaded in Apple Configurator. On the Configurator, provide the URL which you have copied from the MDM server. 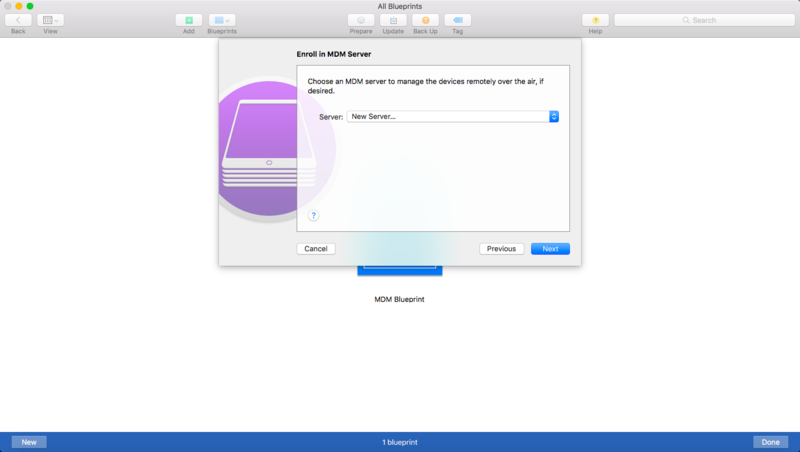 You can see all the devices are listed in the MDM server, under Apple Configurator. You can assign the devices to appropriate users. Once the users are assigned, you can see the devices listed under enrolled devices view on the MDM server. This error is usually encountered when you have enrolled iPhones previously using Apple Configurator. In case of iPhones, Apple Configurator fetches the IMEI and thus, in case of iPads it tries to fetch the IMEI(which is not available for iPads) and shows an error. In such cases, you can factory reset the device using Apple Configurator and retry the process. During device activation, you encounter the error "A cloud configuration is already present on this device." Connect the device back to Apple Configurator and right-click the device and select Restore.This will re-download iOS into the device and fix the problem. While configuring the blueprint, you are prompted to enter the Apple ID and password and you are unable to skip this step. This is a default screen that appears while configuring a blueprint. You will not be permitted to skip this step if you have enabled the option to Add device to DEP portal in the first step. If you do not want to add the devices to DEP, uncheck the option and skip the step that requests for Apple credentials. Else, enter the DEP portal details and click on Next. You can safely click on Next as this step will not have any effect on the blueprint creation. You are trying to enroll a device and get an unexpected error with "Failed to retrieve IMEI". 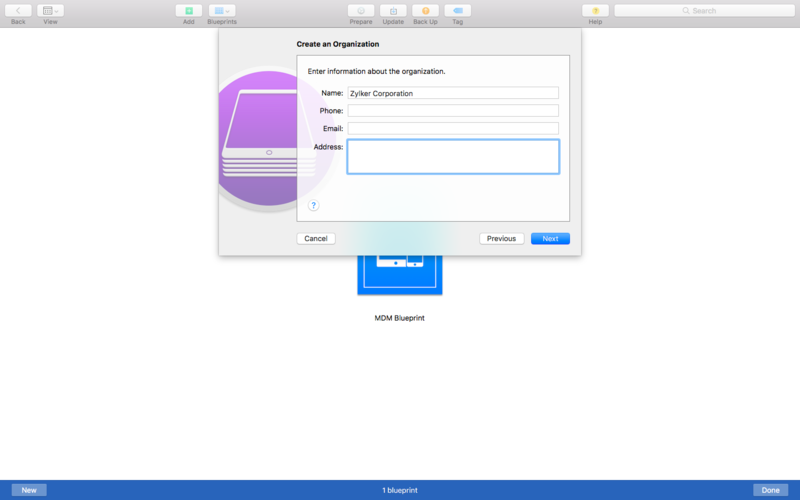 This error occurs when you enroll different types of devices like an iPhones and iPads consecutively using Apple Configurator. Since an iPhone has an IMEI number, it will be detected and the enrollment will complete. Whereas, since an iPad does not have an IMEI number this error will be displayed. Restore the device and try enrolling it again. This happens only if the device cannot be upgraded to iOS 11 (refer this to know the list of iOS devices supporting iOS 11) or the devices needs to be upgraded to iOS 11 manually and then needs to added to DEP/ABM/ASM via Apple Configurator.